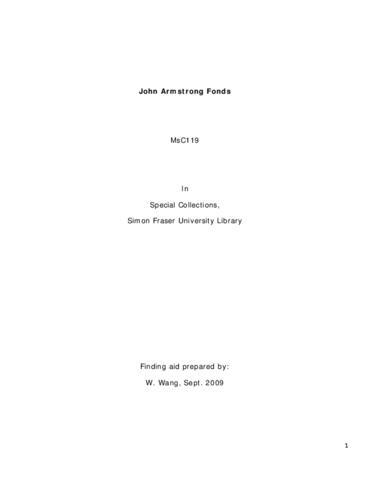 Records were in the custody of John Armstrong prior to their acquisition by Simon Fraser University Special Collections and Rare Books in 2011. The fonds consists of correspondence, photographs and newspaper clippings pertaining to the Modernettes and John Armstrong (Buck Cherry). The fonds is arranged into the following six series: correspondence, newspaper clippings, the Modernettes records, financial ephemera, pins and photographs. Includes 14.5 cm of textual records and ca. 178 photographs, ca. 1 negative, 1 cassette, 16 pins.